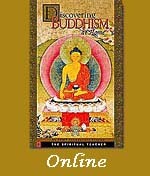 A 26-minute video for Module 2 from the Discovering Buddhism DVD. Six teaching sessions and six guided meditations taught by Ven. Sangye Khadro. PDF transcripts for all these teaching and meditation sessions are also provided. The following book by Ven. Sangye Khadro is part of the required readings. 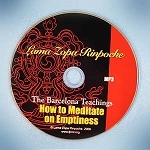 The following books and video are suggested as additional resources for students who wish to deepen their understanding of the material in this course.